Ever since people first noticed birds, they have wanted to fly. And ever since they looked up at the night sky, the place they have most wanted to fly to was outer space. This is the fantastic story of how, in less than two hundred years, we have made our way from the first trip in a hot air balloon to the first step on the moon. 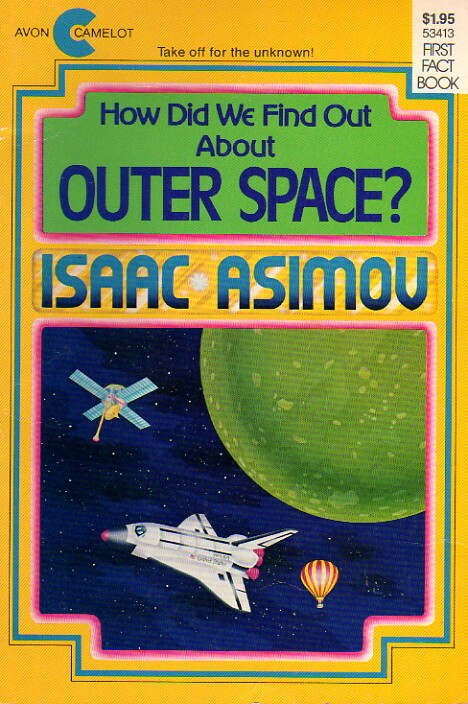 This book has a lot to cover—how did we find out, for example, that there’s a vacuum surrounding the Earth ’way up there, and how did we figure out how to travel through it. It does reasonably well. My main problem is that it was published 18 years ago, and therefore misses out on the space shuttle as a vehicle. That, however, is about the only flaw in this book which I would generally recommend for the target audience, although adults might find it less than thrilling.